OPPO R17 Pro is the new phone which is added to the OPPO family with tons of new features which include a better AMOLED display and smaller Notch. OPPO R17Pro is going to rank among the trending smartphones of this year because its chipset is also replaced with the latest Qualcomm SDM710 Snapdragon 710 chip. OPPOR17 Pro also got the water and dust proof IP67 rating. OPPO’s R17Pro has 6.4-inch FHD+ AMOLED screen that is protected by Corning Gorilla Glass6. It also supports in-display fingerprint scanner. The OPPO R17 Pro has notable screen-to-body ratio of 91.5%. Elegance meets enchantment in the OPPO R17 Pro’sRadiant Mist casing with fog lighting that flows between deep blue and purple hues. R17 Pro’s 3D misted glass and inner light condensation blend and shift with changes of light and shadow around you,giving you a dreamy, immersive aesthetic that moves with you. The smartphone is fuelled by a non-removable Li-Ion3700mAh battery which will last for more than a day even under moderate to heavy usage. Another key feature of OPPO R17 Pro is its 50W SuperVOOC charging technology that refuels its 3,700mAh battery. OPPO introduced this feature on the Find X Automobile Lamborghini Edition, which promised a 0%to 100% charge in just 35 minutes. OPPO R17 Pro can be unlocked instantly just by touching the screen. An ultra-photosensitive sensor under the display ensures clear fingerprint images. OPPO R17 Pro comes with triple cameras on the back. The main shooter has a 12-mega pixel sensor. The second one is a 20-mega pixel shooter while the triad is a TOF (often used for the face unlock) 3D camera. You can also us this feature for 3D image capture and more. There is a 25-megapixel selfie camera on the front. 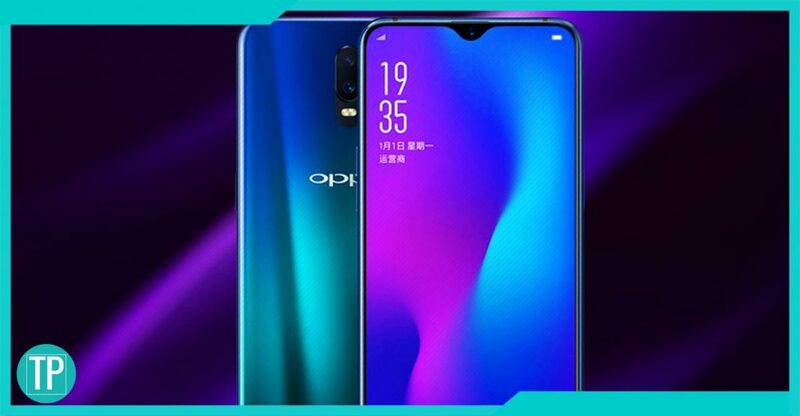 It is located on the water-drop notch just like what we saw on the OPPO F9. 128GB Built-in, it doesn’t support microSD card slot. The OPPO R17 Pro comes with a better set of imaging pieces. It packs huge RAM. The smartphone is certified by IP67, which makes it water-resistant and dust-proof. The OPPO R17 Pro is powered by Snapdragon 710 chipset which is paired with massive 8GB of RAM to enable smooth and lag-free performance. Adreno 616 GPU will let the users enjoy smooth multitasking. OPPO R17Pro is a high-end smartphone. It comes with a full-screen view display having advanced technology components. The smartphone offered a large storage capacity but there is no dedicated slot for SD card. OPPO R17 Pro comes with the triple camera and many more amazing features. Itis expected that OPPO R17 Pro will be pricey correspond as a high-end smartphone. R17Pro has 3.5mm jack port and a loud speaker. It has a fingerprint unlock under display feature. The phone does not have a dedicated scanner like a rear-mounte dor home button mounted. OPPO R17 Pro also supports fast charging battery.